Senior citizen Max had his moment of fame when he appeared on Ten Eyewitness News with Mike Larkan for the Give a Dog a Home segment. A loving family spotted him on the TV, and as they say, the rest is history! 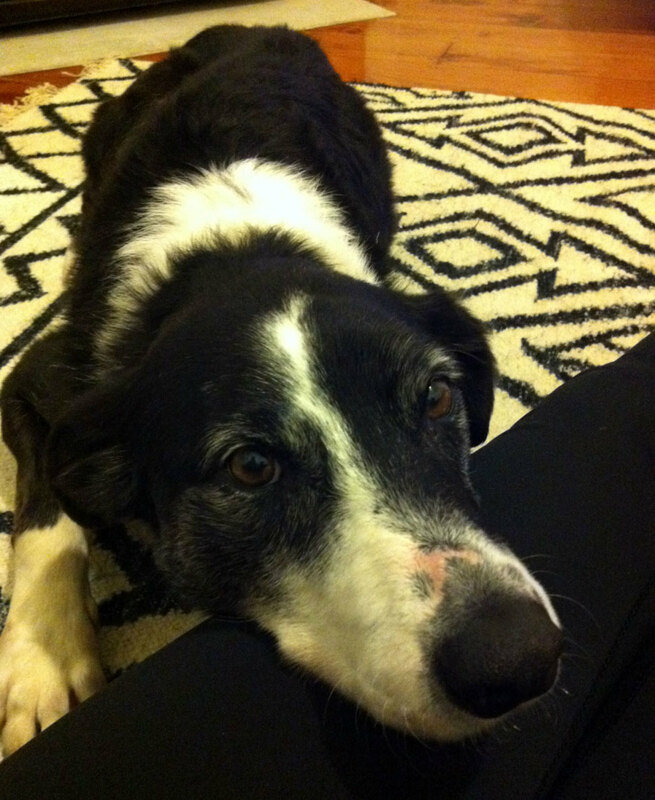 From our Adopted & Adored letterbox this week, we have a wonderful update from Max’s new owner, Lisa, who explains why senior pets make the perfect companions. There are a few reasons why we chose to adopt Max, but really it was perfect timing. My husband and I settled on our new house at the end of May, which also happened to be around my birthday. For my birthday my husband gave me his blessing to get a dog (let’s be honest, the new house has a fenced in yard and it was only a matter of time…). My husband saw Max (then Cobber) on the news for Give a Dog a Home with Mike Larkan, and a couple of days later I took him home. I grew up around older dogs and I also love border collies so it was a perfect match. When we first met Max, he was so calm and sweet. He had exactly the demeanour we were hoping for. And also, those eyes. It’s been such an easy adjustment for all of us. On day one I showed him around the house, fed him dinner and then he wandered over to his bed, climbed right in and slept for 12 hours! It’s been that easy ever since. 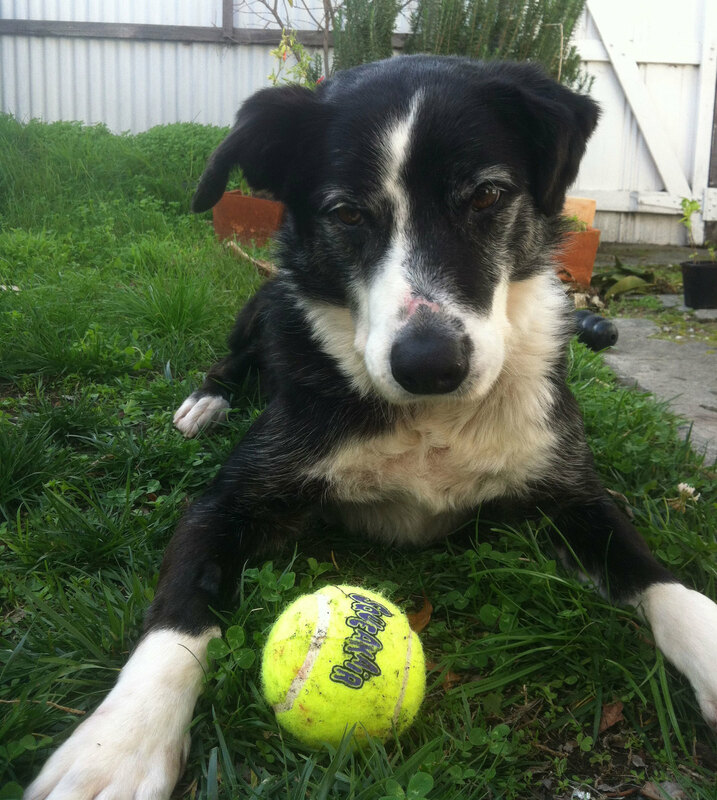 Max enjoys the simple things – eating, chewing bones, head scratches, and chasing tennis balls. But mostly head scratches. I love how excited Max gets when we first wake up in the morning and when we get home after leaving him alone. He may be an older man but he prances around like a little lamb. I also love how affectionate he is. I work from home so we spend a lot of time together and it’s nice to take a break every now and then for cuddles. He’s a great office dog! To those who are considering adopting a senior pet, do it! Many people think of all the negatives when adopting a senior pet but there are so many positives. It’s just about changing your viewpoint. They’re already trained and know how to live comfortably with people, they’re calmer, and, selfishly, easier to please. They’re full of surprises too. It’s really fun figuring out what commands and tricks Max knows. And, yes, you have less time with them than a puppy but there are still years left in their lives! Senior pets are awesome! Senior pets are full of love and life! Read more about the benefits of adopting a golden oldie. If you are interested in adopting a senior pet, we encourage you view our cats and dogs patiently waiting to find new homes.